OK, Vegan Cupcakes, Let's Dance. I recently got a request to make a Vegan Dessert. "Vegan? Yeah, I can do that..." OK, so maybe I had a bigger challenge in front of me than I initially thought. 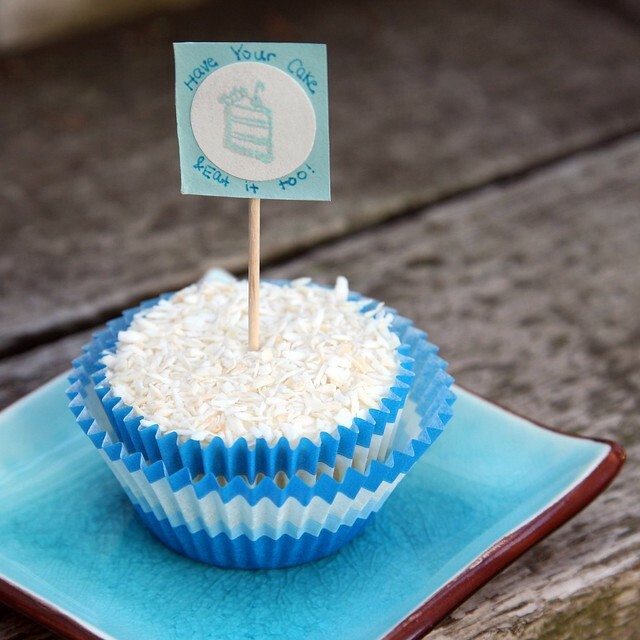 I got it in my head that my vegan dessert would be Coconut Cupcakes. Since I'm not necessarily "saavy" on the vegan baking blogs, I didn't know what recipe source I could really trust out there. After surfing several recipes, I decided that I would try to make up my OWN recipe based on a little bit of what I found in my vegan food blog surfing and the lessons of science and baking from my favorite book, BakeWise. 2 Tbsp. Potato Starch 1/2 tsp. Whisk together flour, baking soda, starch, salt, and sugar in a large mixing bowl. Poke three wells into the flour mixture with a spoon handle. Pour the extracts, vinegar, and oil into separate wells. Pour the water on top of everything. Then mix everything together. Mix the sour cream and the soy milk together before combining with the rest of the batter. Fold until fully combined. Whisk together starches and sugar. Pour into saucepan then add lemon juice, water, and zest. Whisk mixture constantly on medium heat until it comes to a full boil, about 10 to 15 minutes. Allow to boil for one minute undisturbed; the mixture should have noticeably thickened and started to turn clear. Remove from heat. Whisk in soy milk and extracts and let stand uncovered until it reaches room temperature. Put in jar or airtight container and place in the fridge overnight before use. If the lemon curd separates, you can just whisk it up and it will return to normal. Cream together tofu cream cheese and earth balance in mixer on medium speed until light and fluffy. Add sour cream and extract and mix on low speed until just combined. Sift together powdered sugar and potato starch before adding to mixing bowl in 3 or 4 batches. Refrigerate overnight if mixture seems a little too runny. To Assemble: Finally, core out the center of the cupcake, add lemon curd with pastry tip. Save just the tip top of the cupcake center to cover up the hole. Spread on cream cheese frosting with offset spatula. 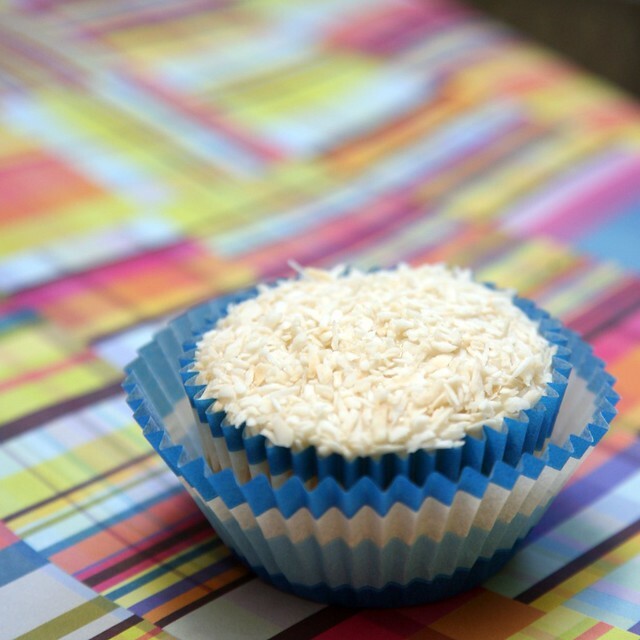 Then dip frosting cupcake in a bowl of organic toasted coconut flakes. Not too shabby tastin', if I don't say so myself. Bam -- Vegan Cupcakes. NEXT!